The first legs of the Champions League quarter-final ties have commenced, and Barcelona came out on top in the blockbuster fixture against Manchester United. Barca won one-nil after a Luis Suarez header ricocheted off of Luke Shaw into the back of the net after 12 minutes. 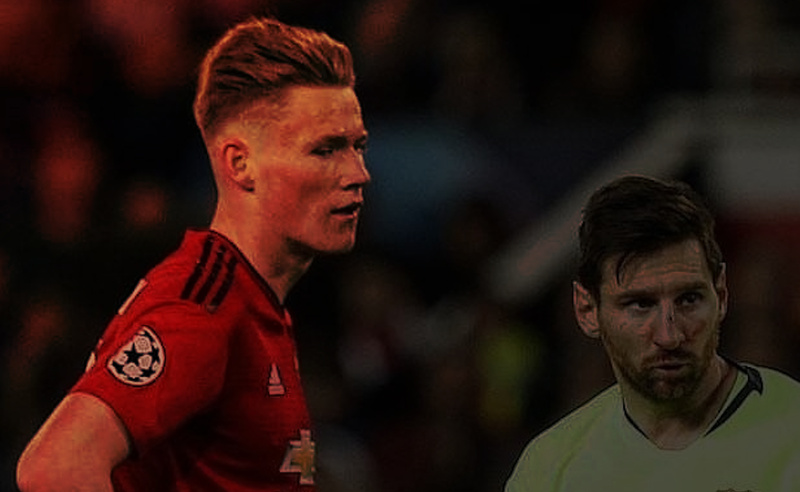 It looked like it will be a long night for United, but the United players then went on to impose themselves on Barca, and the Manchester United midfield played a huge role in that. The Manchester United midfield for the night had Paul Pogba, Fred, and the youngster Scot McTominay. The usual free-flowing, total football that is associated with Barcelona was nowhere to be seen on the night thanks to these three showcasing the biggest difference in the English and the Spanish game, physicality. The midfield trio of United took 15-20 minutes to settle down, but after that, they took charge of the game. The trio broke down any Barcelona attack, rendering the likes of Leo Messi and Luis Suarez, frustrated. This made Barca change their game a little, who now lobbed the ball into Suarez rather than playing it to his feet but the United defense and midfield had the aerial advantage and quickly got the possession back. Paul Pogba had a quiet night but he played a big part in keeping the ball moving and he spread the ball out onto the wings quite beautifully on the night. It was McTominay and Fred who stole the show at Old Trafford last night. The youngster had an amazing night. He won every aerial battle, every tackle, and made some really good passes. 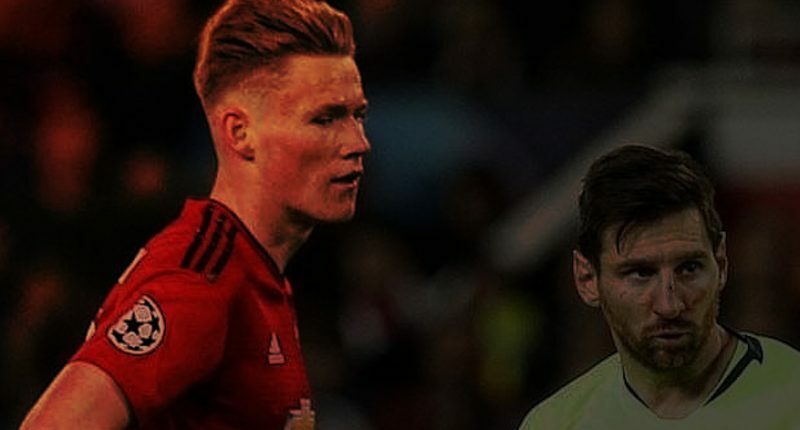 Mctominay even had a penalty shout that was rightfully waved away by the ref. The youngster showed his mettle in one of the biggest fixtures of European football and that too against some of the biggest names in football. His partner in crime Fred perhaps had his best game in a Manchester United shirt and showcased exactly why he was brought to Old Trafford from Shakhtar. Fred made more recoveries (15) vs. Barcelona than any other player has managed in a #UCL knockout game this season. The Brazilian made an astounding 15 recoveries, more than any other player has managed in a Champions League knockout game this season. Fred not only recovered the ball well, but he also spread it out onto the wings to transition defense into attack beautifully. He was crucial in breaking down Barcelona’s attacks. Manchester United lacked composure in the final third and had they been composed the result could have been different. They still however managed to trap one of Europe’s best team. United have all to play for in the second leg. A repeat of last night’s performance, barring the first 15-20 minutes and a bit of composure in the final third can get the victory over Barcelona. United have won away at Juventus and famously at PSG and they just might do it again against Barcelona. Camp Nou is where United won the Champions League in 1998/99 season and with just one away goal separating the two sides, Solskjaer might just win it for them again. The second leg will be played on the 16th of April at Nou Camp.